The research around student engagement has changed over the past 40 years. During the 1970’s, student engagement research largely dealt with a marginal population that was disengaged from school and at risk of dropping out. Jump ahead 40 years. While this problem still exists, student engagement research deals with a sizable population of students. In fact, the majority of our students aren’t engaged in their day to day learning. Depending on the survey, anywhere from 50 to almost 70% of our grade 10 to 12 students are not engaged in their learning. That’s shocking. When I first learned this statistic I was stunned. Moreover, research shows that the longer our students are in school, the less academically competent the feel (Covington & Dray, 2001) — even students who are considered “successful” in our current system experience this problem. That’s a pretty big deal. School shouldn’t be something you have to recover from, and for too many of our kids, it is. What do I mean by the term student engagement? There are as many definitions for this term as there are words in this blog post. Engagement is often broken down into different categories: social/psychological, behavioural, academic/cognitive, or some variation of these. Some deal strictly with behavioural compliance in a classroom, but that’s not what I’m interested in. For me, engagement is a genuine disposition for self-directed, deep learning, fostered from an early age and continues life long. That’s the point of engagement, not to coherse kids into performing the tasks we want them to do. One might think that our “top” students are engaged in their learning. Studies show most aren’t. Successful students often describe their learning experience as “boring, hectic, stressful and disconnected from the real world” (Dunleavy & Milton, 2009, p. 11). Many are simply jumping the hoops or “doing school” — hoping to move onto a better educational experience once they’ve graduated from high school. Unfortunately, with today’s current university system, many will be disappointed. Too often I’ve heard students talk of their desire & need to escape the day to day educational institution. It saddens me because I know it can be so much more. At the same time, it frightens me because research shows that a boring environment has a more powerful thinning effect on the brain cortex than an exciting or enriched environment has on cortex thickening (Diamond, 1998). That’s a really big deal. Starting in grade 6, student engagement begins to plummet, until about grade 9, when it bottoms out at about 30%. I’m curious as to why this starts in grade 6. What happens in grade 6 psychologically or neurologically that prompts this freefall? And just as importantly, can it be stopped or reversed? Currently, I have a directed reading course on neuroplasticity & learning. The change in an adolescent’s brain is immense, with large portions of the executive function and the prefrontal cortex maturing. There is also a significant proliferation in dendrites & synapses that causes the adolescent cortex to thicken, before it goes through 6 or so years of intense pruning. It’s vitally important that our students be deeply engaged cognitively during this period. The brain works on a use it or lose it principle. So you can see why a boring environment having a more powerful thinning effect on the brain cortex than an exciting or enriched environment has on cortex thickening is a big deal. Boring classroom environments might actually be harming our students ability to think. For my PhD dissertation I’ve decided to research student engagement, but not typically how it’s been done. One of the gaps in the research is the absence of student voice. Research tends to talk about kids, not with them. I hope to use youth participatory action research, as a means to not only amplify student voice around this issue, but also to empower students to change the circumstances in which they learn. Participatory action research “seeks to understand the world by trying to change it, collaboratively and reflectively”. I think this process sounds a lot like me. And I think it sounds a lot like the kids I’ve taught. So many of our students come to school everyday hoping they’ll do something that makes a difference and engage in real work that matters. Participatory Action Research allows students become partners and co-researchers in creating the education they want and need. They identify the problems in their current circumstances and co-create the solutions. They write. They speak. They change, not only themselves but also the environment around them. In short, they make a difference. My framework will likely be critical theory, which is about emancipation and transformation; it seeks “to liberate human beings from the circumstances that enslave them” (Horkheimer 1982, 244). I think that might not be too far off from describing some of our schools. It questions current power structures and seeks to understand the ways in which various social groups are oppressed. I include many of our students in this group. They’re stuck jumping through hoops, most often without meaning, that someone else has created for them. Most importantly, critical theory empowers students to transform their education. 14:1, 33-48 you might also be interested, in a less academic way, in this: http://globaldimension.org.uk/news/item/16251 Thank you for the blog post. Kind regards, Jo. Thanks for the resources! I’m looking for as many as possible, so these are greatly appreciated. What an amazing idea for a dissertation. I’m afraid many students are oppressed, sometimes by teachers who aren’t excited about learning – sometimes by teachers who are oppressed themselves. It will be exciting to see what results from your exploration. Thanks, John. I’m really looking forward to doing this project. I think, in many ways, the entire system is broken. Many students are oppressed. Many teachers are oppressed, sometimes by extrinsic forces, but sometimes by intrinsic motivations, ideas & philopsophies. I think it also goes up the chain to principals, superintendents, etc. That’s why I think the critical theory framework is important. It’s time we call a spade a spade and begin to do what’s best for kids. Unfortunately there are many districts that focus so much on test results and come down on schools and teachers who don’t “improve” and so many run and hide behind the “tried and true” methods that have helped them fly under the radar in the past. I truly believe it’s time to relook at the whole concept of curriculum and testing. I completely agree. I don’t think standardized testing is good for kids. I also don’t think it shows much about real learning. But the loudest voices right now demand standardized testing. Students, parents, teachers, and divisions need to speak up against this and do what’s best for kids. As usual, your content is relevant and makes me question the world around me. I’m anxious to read about your dissertation. Meanwhile, I’m going to work on giving my students more of a voice. Thanks! Shelley ponders the concept of student engagement as part of her PhD dissertation. Awesome post! Is a great post to use as a springboard for discussion in our schools. Thanks! I hope you post updates on your process and findings. I definitely will. I’m excited to have the opportunity to work on a project like this! I would offer my classroom, but I don’t know if you are looking for something local to you or are interested in doing it virtually. I teach in a New Tech PBL school in Michigan. Thanks, Michael! At this point, I’m not sure what it’s going to look like. I want to do part of it with students in my own classroom. However, I think it would be very cool to also work with kids virtually. I’m looking to see how far I can stretch the boundaries with my dissertation, so I’ll let you know when I have a much better framework of what I’m working with. I have been a fan of your blog since I began my masters in September. Many of your blog posts have made it into my own ePortfolio blog. Thank you for your efforts at recording your thoughts and making your learning journey so visible! Thanks! I think this could be an amazing idea. I’m actually going to be teaching a photography class in the fall. I wonder if we couldn’t collaborate on a few projects & maybe start a collection of student voice work? S.
I would love to collaborate with you on a project! I am just finishing up my first year of a graduate diploma through VIU in Open Learning and Teaching. It is through this course work that I came acorss your blog. You have actually impacted a few of my own blog posts! To be actually working with you would be amazing and another exapmle of how powerful the network of open education and online learning can be. I currently connected with a former student of Alec Couros and she is willing to be a “mentor” and expert for my next years class of students when we embark on special effects. Her specialty is light photography. She even sent my students a video! Pretty cool stuff. I also have a created an online course this year for my students, my first attempt at a blended classroom. All the students created their on photography ePortfolios. I look forward to connecting with you and possibly working together on a project, maybe connecting our two classes? Great post. Colleagues and I have recently discussed how we might positively affect student engagement in our school in order to boost attendance. I will be interested to know what your data says about the correlation between engagement and attendance, as well as following the progress of your Participatory Action Research. Thanks! Current research shows there is a correlation between the two. Although some kids will show up everyday and not be deeply engaged in their learning. Often those are the hoop jumpers or the kids who feel a social connection to the school, but not necessarily deep, cognitive engagement. So it is possible to improve your attendance without challenging your students. Good for you! I absolutely believe that students should be part of the research process. See http://usergeneratededucation.wordpress.com/2010/08/03/youth-participatory-action-research-ypar/ I am looking forward to following your dissertation journey! Thanks for the resource! I haven’t found a lot yet on YPAR, so this is really appreciated! You are welcome – good luck with your research! Do you think that by 6th grade “we,” the system, have beat the joy out of the students. They come sprinting in the doors when they begin kindergarten but by the time they reach sixth grade they barely have their hands raised. I have been fortunate to learn and educate K-12 and student voice is still not at the forefront. I would be interested to see what your research shows. Great post Shelley! Our division is tackling learner intellectual engagement as well and a major focus is on the student interview. As a superintendent, I’m travelling to schools and talking to various students in grade 9-12 about their school experience. It is a way of creating student voice and allows me to hear what I need to hear! I absolutely love their honest feedback! Wow, thanks for the resource! It’s greatly apprecaited. This sounds exactly like my 13 year-old son in grade 8. He is a very good student yet he hates school! He loves learning but school does not fulfill him at all. If you ever need a child to participate in any way I think he would be happy to be a part of your research. So many kids struggle with this problem, and it can be heartbreaking as a parent to watch. I’m not sure what the parameters of my research will be. I’d love to have “virtual” digital participants, so I may take you up on your offer! Hi Shelley, what an interesting post – and dissertation idea. It will be interesting to follow your progress. I like how you will approach it from a Critical pedagogy perspective. If our paths cross at some conference or other, I would love to chat. If, (when?? ), our paths cross I’d love to sit down & have a conversation. I’ve been a fan of your blog for several years! I’m looking forward to hearing how your research goes. After 20 years of teaching Core French to students from Grade 4-8, I can certainly support the research you’re finding that suggests that Grade 6 is where we start to see the drop-off in “engagement” – I also find it’s far more prevalent in boys, at least in the standard learning environment, where girls seem more willing to continue to jump through the same old hoops. The other place it shows up, in Ontario, is in our (blech) standardized testing results, when a group that excels at the Grade 3 testing nose-dives in the Grade 6 testing. Keep us posted – you always give me much to think about. Love the notion of engaging students in “participatory action research” and see so many connections between their active involvement in formal research and inquiry and the post I did this weekend entitled, “participatory assessment”. I think if we show learners how integral they are to teaching, and point them towards they can shape their own improvement, engagement and improvement should improve. Having recently completed my doctoral program, I commend you on your research endeavour and wish you the best of luck! Can’t wait to hear what you find. Congrats on finishing! Being at the beginning, the road to the end sure seems long & at times I’m not sure I’m going to make it. But I’m hoping once I get to the “research” portion, it will keep me motivated! Thank you for writing this extremely thoughtful article. I’ll be following your research with interest. I wonder if I could offer a couple of suggestions, which might or might not be of use to you. Which I’m sure you must have seen before but I think perfectly captures a process of belonging (student agency) that our current education systems ignore. In imaginative-inquiry the teacher works in collaboration with the students to create imaginary contexts where the children experience the powers and responsibilities of being the ones who decide and develop a curriculum around themes that are interesting and meaningful to them. Thank you for the terrific resources! We use circle of courage quite a bit in our school division, and I’ve used it before with learners, but hadn’t thought about it as a framework for this. But I haven’t seen Heathcote’s work before. Thanks! Thanks for using my work. I appreciate it! Shelley I am intrigued by your comment, “For me, engagement is a genuine disposition for self-directed, deep learning, fostered from an early age and continues life long.” I understand the whole engagement issue but are we forgetting that these are children which whom we are dealing? 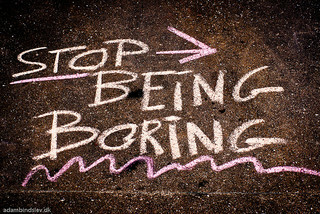 And why are we so bent-out-of-shape because they say they are “bored.” Deep learning is actually quite tough, and yes probably, at least occasionally, boring. I would really enjoy a discussion of this with you. Shelly, Please consider the works of Dr. Phil Schlechty in your work and research. He has written many books on the topic. I think this is a great idea. I just finished Will Richardson’s book on PLNs and am now beginning to expand my personal learning network before sharing the idea with colleagues. The shift will be scary for many teachers, but something that needs to be done. Have you heard of Student Voice? It might be of interest to you.